With a stay at C. H. Chelo in Madrid (Chueca), you'll be minutes from Telefonica Building and Plaza Red de San Luis. 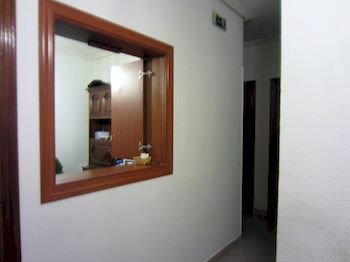 This pension is close to Plaza Mayor and Prado Museum. Make yourself at home in one of the 10 air-conditioned rooms featuring LCD televisions. Complimentary wireless Internet access keeps you connected, and digital programming is available for your entertainment. Bathrooms have shower/tub combinations and hair dryers. Featured amenities include multilingual staff, luggage storage, and an elevator (lift). Guests may use a roundtrip airport shuttle for a surcharge, and self parking (subject to charges) is available onsite.